Out come the claws… and then the dogs… and soon, maybe, the lawyers! Lisa Rinna is PISSED after learning the news that first broke in the last week about how fellow Real Housewives of Beverly Hills costar Lisa Vanderpump is working on a spin-off reality show centered around adoption center Vanderpump Dogs! In case you’re trying to get caught up on all the drama now… earlier in March, a source spoke to Us Weekly about how the 58-year-old Vanderpump Rules star had a “spinoff in the works” surrounding her animal rescue. While that’d be a coup for Vanderpump — who, of course, has already spun off a reality TV empire thanks to RHOBH — the 55-year-old Rinna is NOT quite as happy about the potential for this new reality TV show. The Days Of Our Lives alum opted not to hold back on her Instagram Story Thursday when she found out Vanderpump’s potentially dog-gone good news, and if we’re to take Rinna’s subsequent legal threats seriously, her bite may be just as bad as her bark! 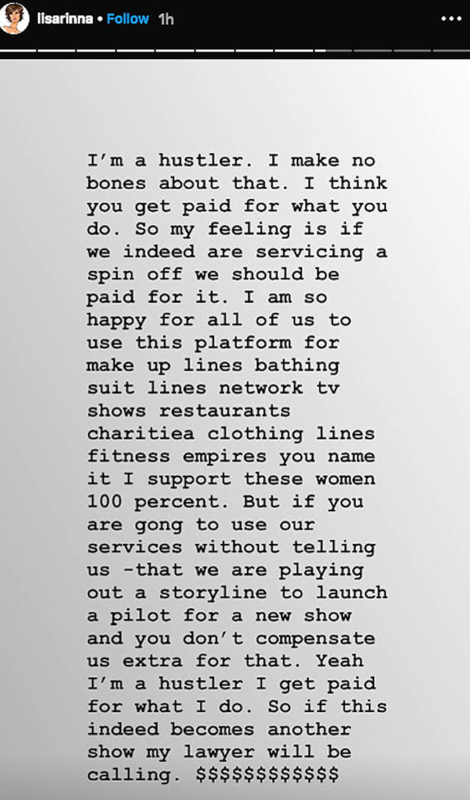 Rinna sort of has a point here, in that we can certainly understand her frustration if she’s being effectively used on her own show to simply further the business empire of another cast mate without at least getting a seat at the table to negotiate her own deals or spin-offs. But on the other hand…. who can dislike the thought of another show about cute four-legged friends?! Lawyers over dogs?! REALLY, Miz Rinna??? What do U think about this controversy, Perezcious readers?! Would Rinna even have a legitimate lawsuit if she goes after Vanderpump for… creating a spin-off show? Sound OFF about all the latest RHOBH drama in the comments (below)!